The Mayan culture is evident throughout the Yucatan. While visiting Posada Yum Kin, one of the best hotels in Tulum, you will find the Mayan gods and lifestyle portrayed in art and sculpture throughout the hotel and nearby area. Historians, anthropologists and archaeologists who find comfort at Posada Yum Kin, delight in the ‘old world’ atmosphere blended with ‘new world’ comfort. The ancient Mayan culture was, for the most part, located from the Yucatan Peninsula to the Pacific Ocean. 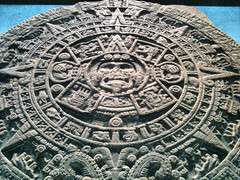 The Mayans originated in approximately the year 2000 BC and were dedicated to learning about astronomy and mathematics. From their discoveries in these areas they invented one of the most advanced numbering systems of all time. The Mayan people also devised their own system of hieroglyphic writing, and wrote about astronomy, history, their rulers and their rituals. The Mayan priests devised the calendars. The first calendar was called the Haab Year, or the Vague Year. This calendar was the most similar to our modern calendar. It consisted of eighteen months, 20 days each, and equaled a total of 360 days. This left approximately five days which were considered unlucky days around the New Year. The second calendar was called the Tzolkin, this calendar was considered sacred. It was made up of 20 months, 13 days in each, and a total of 260 total days. The reason for its existence is virtually unknown. The last calendar was the Long Count, which was largely an extension of the Haab. This calendar was the longest and dated back to 3113 BC. Even though the three calendars were very different they did have days that always matched up. It created a cycle that is referred to as the Calendar Round. This was used to help the Mayas plan and build their pyramids. In many ways the Mayan counting system is considered superior to the Roman system of counting and writing numbers. It was unique because it used the value of zero and was based upon the number twenty. Instead of being written in horizontal columns, numbers were written in vertical columns. The Mayas also became experts in many aspects of astronomy with their intense study of the movement of the moon and the planets. They used this combined knowledge in mathematics and astronomy to devise the Haab calendar.